Some seniors have a really great appetite; they can finish more than what they are expected to finish on their plate. Others do not have a great appetite since they find it hard to eat with dentures or they might be not in the mood for sitting down the dining table to eat. Nutrition is important for seniors. They should not be overweight or underweight. And that is why eating should be an important and exciting activity for seniors. Here are some of the ways you can make your senior smile and come to the table. Ask them what they want to eat for mealtime with the food available in your kitchen. Communication is key when it comes to making sure that your elderly loved one gets what he needs. Tell your elderly loved one about the food and ingredients available in the kitchen and the possible dishes you can make from these ingredients. It’s just like how a waiter presents a menu to the customer. Keep away all the distractions. Observe your elderly loved one. What keeps them from eating their meals? Is it the television? Is it something they are reading? Identify what’s distracting them from eating their meals. You should keep all these distractions away as you prepare the table for mealtime. Eat and talk with the senior. Nothing beats companionship. Once your senior sit to eat a meal, you should be there to eat together with them. Talk about various topics. Make every meal memorable by talking to your loved one. Reminisce about the past or talk about the good things that happened to you recently. 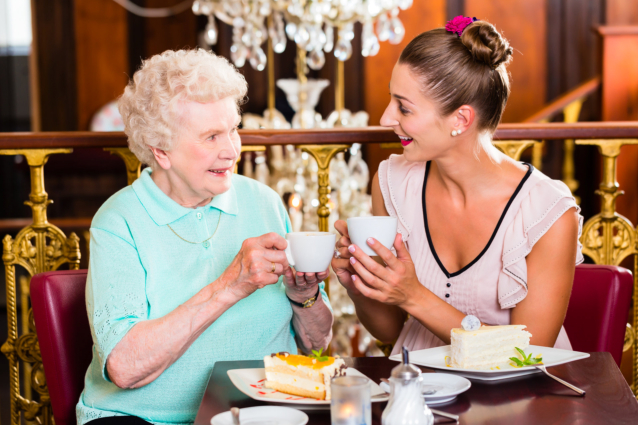 If your elderly loved one has something to share, make sure to engage in active listening. Another advantage of eating with your loved one is that you can prevent the dangers of choking, as well as eating less or skipping the meal without your knowledge. Every senior needs a reliable companion. When you are away, who watches your elderly loved one? Ontime Home Healthcare Staffing Agency LLC offers personal care services in Cleveland, Ohio. Our team is composed of exceptional professionals who are committed to serving home health care. We will take good care of your elderly loved one and become a compassionate friend to them. Whether it’s mealtime, bedtime, or recreational time, you can always count on us. This entry was posted in Senior Care and tagged Diet, Health, Health Care, mealtime for seniors. Bookmark the permalink.